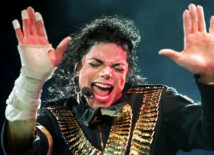 Late singer Michael Jackson’s family has decided to fight child abuse accusers with their own movie. Jackson’s nephew Taj, 45, is preparing a “series of rebuttal films” to counter the “vicious and calculated lies” of Wade Robson and James Safechuck. Both Safechuck, 40, and Robson, 36, claim that they were repeatedly abused by Jackson when they were children, in a new documentary ‘Leaving Neverland’. But former boyband singer Taj — son of Jackson’s brother Tito — is planning to call on celebrities and former child companions of the superstar, including Macauley Culkin, to defend him. The Jackson estate described coverage of director Dan Reed’s ‘Leaving Neverland’ documentary as a “public lynching” after it made a debut at the Sundance Film Festival. The film contained graphic allegations of abuse by Jackson against Safechuck and Robson, shocking movie critics who went to the four-hour screening. But Taj is insisting that Jackson “died an innocent, vindicated man” and promising that his film will “conclusively destroy decades of salacious myths” about the star. He has launched an intense defence of his uncle on a GoFundMe account, which he set up to crowdfund money for the film. The page has so far raised more than £28,000 and has a £590,000 target.